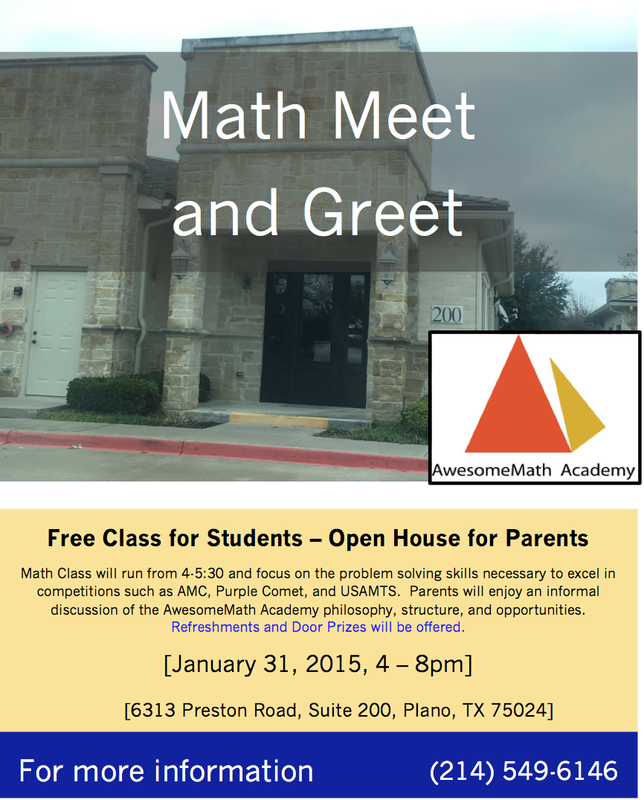 There will not be a math circle this Saturday, however, if you are interested in attending a free problem-solving session led by Dr. Titu Andreescu, I encourage you to go to AwesomeMath Academy on January 31st between 4-5:30pm and receive excellent guidance for contests such as the AMCs, Purple Comet, and USAMTS. Information and details are on the flyer. Refreshments and door prizes will be offered. 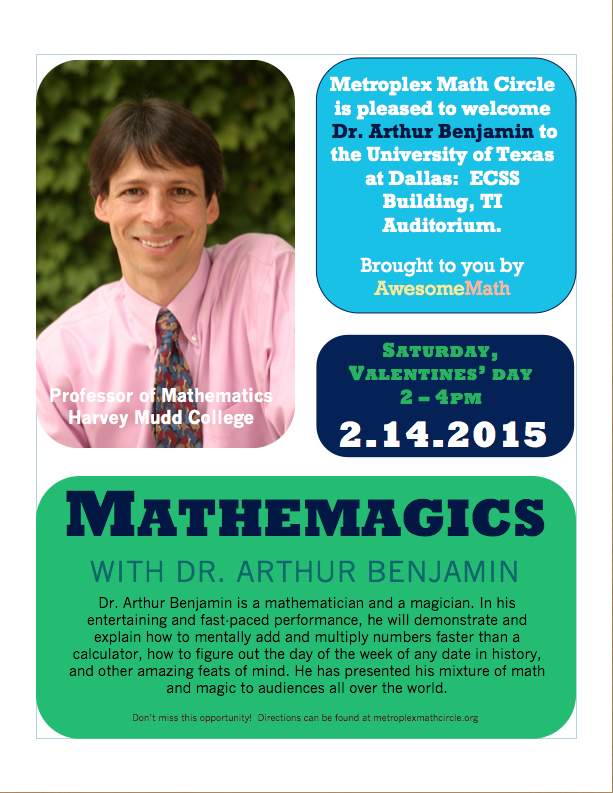 Come join us for Dr. Benjamin’s Mathemagics show at Metroplex Math Circle in the TI Auditorium from 2-4 pm. 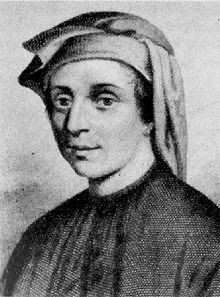 The Fibonacci numbers are known for representing a simple pattern with incredible properties. Robert Bosch is here to talk about some of them, posing lots of interesting problems about the Fibonacci sequence and its connections. Whether you’re interested in the Fibonacci sequence or are completely new to the subject, you’ll be able to learn and derive a library of elegant formulas. If you compute the number 355/113, then you will see that it is a very good approximation to the number pi. How can we find such a fraction? And can we find approximations for other numbers as well? These are some of the questions we will answer in this talk, which will revolve around the rational numbers. We will start by looking at their counterparts, the irrational numbers. We will then discuss a way of writing rational numbers known as continued fractions, which turns out to have important applications. We will also introduce Farey sequences, which have several interesting properties, and will lead to a deeper understanding of the structure of rational numbers. 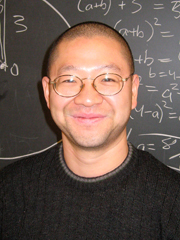 This talk is aimed at a general audience, and one of the goals will be to touch on different branches of mathematics and show how they can connect with each other. Please Note: AMC 10/12 registration will take place starting at this lecture on January 17th. There is a $10 fee to register.